We know a Thing (1) or (Thing) 2 about reading fun! We tip our tall, striped hats to Theodor Geisel, more widely known as Dr. Seuss, the beloved author of more than 60 children’s storybooks, including The Cat in the Hat, Green Eggs and Ham, Fox in Socks, Horton Hears a Who!, and The Lorax. And Dr. Seuss’ birthday on March 2 was the perfect occasion to celebrate literacy, our favorite books, and reading! Last week, readers across Gwinnett participated in Read Across America celebrations. 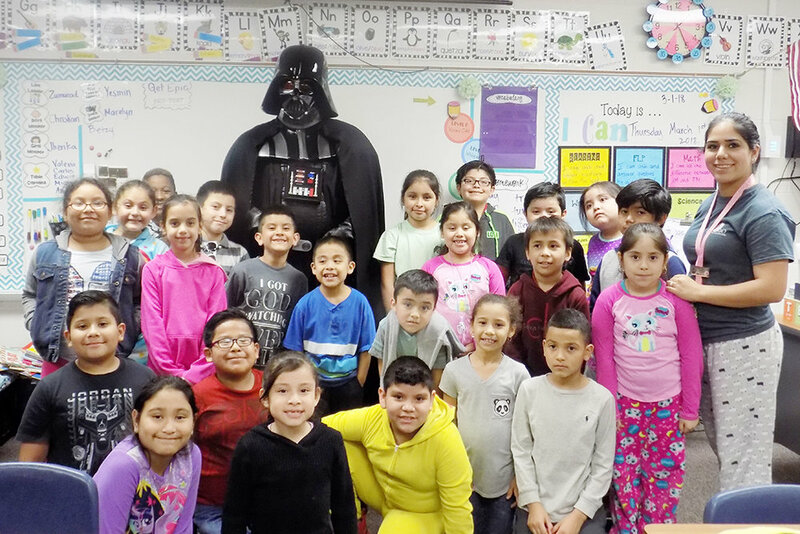 Guest readers included high school football players, firefighters and police officers, School Board members, business partners, Mother Goose, and Darth Vader. Students and staff dressed as their favorite book characters— that famous cat and his accomplices (Things 1 and 2), of course, but also Whos from Whoville, Miss Frizzle from the Magic School Bus, a big red dog named Clifford and some spotted Dalmatians, and a number of folks from Harry Potter’s wizarding world. In a nod to Read Across America Day and Black History Month, one young man donned a lab coat and brought a favorite book to share— a biography of Dr. Charles Drew, the physician and researcher who organized America’s first large-scale blood bank. 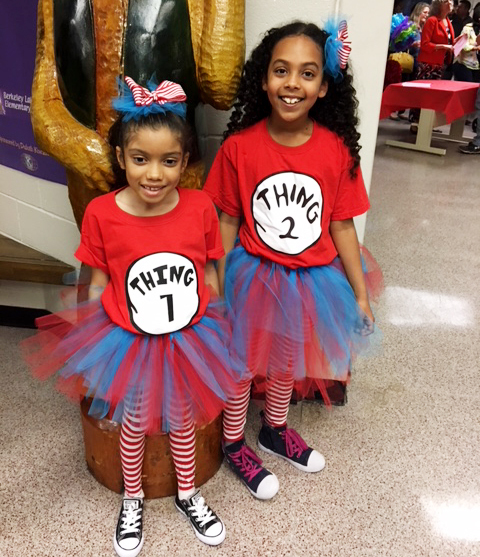 Take a moment to enjoy this Read Across America slideshow with classroom scenes from Alcova ES, Beaver Ridge ES, Bethesda ES, Berkeley Lake ES, Cooper ES, Craig ES, Fort Daniel ES, Freeman's Mill ES, Harbins ES, Norton ES, Partee ES, Rockbridge ES, Simonton ES, Starling ES, and Woodward Mill ES. In this video from GCPS TV, discover how the school district promotes literacy for children, from birth through the teen years, and check out these tips and resources for encouraging your reader at home.